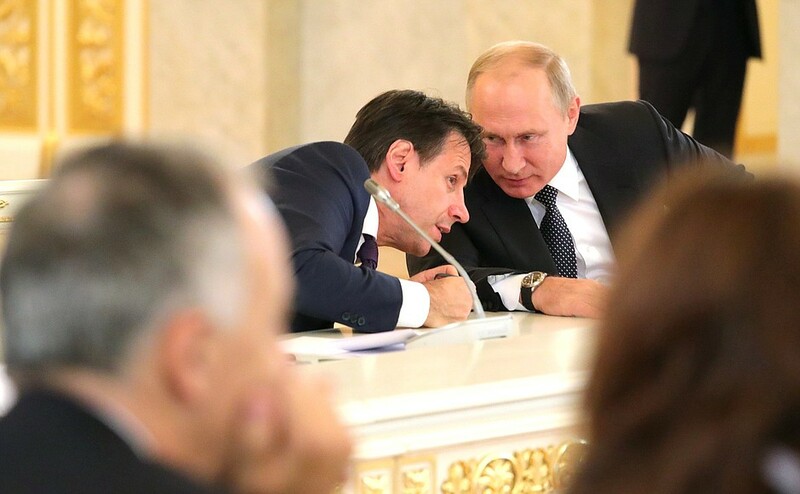 Vladimir Putin and Prime Minister of Italy Giuseppe Conte held a meeting with heads of leading Italian companies, presidential webpage reports. Addressing the audience, Russia’s president noted that “Last year bilateral trade grew by 21%, to $24 bln; in January–August 2018, it grew by another 15%. We see good prospects in the investment area. Italy’s direct investment in Russia is about $5 bln. There are about 500 Italian companies in the Russian market. Many of them have located production in Russia and aim to increase industrial cooperation and create industrial alliances”. The new plant to produce AC motors and generators is located at the Stankomash Industrial Park and will ensure complete domestic production in Russia, hence making it independent from foreign suppliers. Production capacity is projected at up to 300 items per year. These motors are used primarily in pumping units for main oil pipelines. As the president put it, “The new plant in Chelyabinsk can serve as an example of successful and mutually beneficial cooperation. This innovative full-cycle enterprise was built with Italian technologies and will produce high-voltage power supply units that meet advanced energy efficiency and safety standards. “This project was the result of the close partnership between Russian companies Transneft and Konar, and the Italian company Nidec, a world leader in industrial power systems. “Other key areas of the Russian economy, especially shipbuilding, will also use the plant’s products. In the future, the motors will be installed in Arctic vessels on the Northern Sea Route and also used for natural gas liquefaction in such projects as the Arctic LNG 2, Baltic LNG and Vladivostok LNG plants, as well as in the metals and mining spheres, railway transport and wind turbines. “The new enterprise became the fifth to be created in collaboration with Italy at the Stankomash Industrial Park in Chelyabinsk. In fact, the Italian side helped create a whole industrial cluster that encompasses important high-tech enterprises”.